Hello everyone! Here is a new PC build that was given to me as my Christmas gift. It is my first PC build! To start, I've been waiting to build a PC for about 10 months, and then I finally began ordering parts from the beginning of November to the middle of December. I have a multitude of part lists in my account that I've made over the last 10 months, but here is my finalized build! This PC was designed to replace my 2009 pre-built Dell Inspiron 570 PC. It worked really well, but it couldn't keep up with what I was doing. I wanted to be able to run many of the latest games and programs at once, but I couldn't. Then I saw Ryzen come out and it immediately made my dream of having a multitasking beast much easier to come true. And it did! Everything worked out perfectly, to a certain extent, surprisingly. None of the parts were DOA nor problematic. The reason I'm saying this is that the motherboard that I chose had some recent negative reviews on Newegg saying that the board didn't work properly or not at all. This got me worried, but I was very lucky to get a good board. But, I do have some advice. 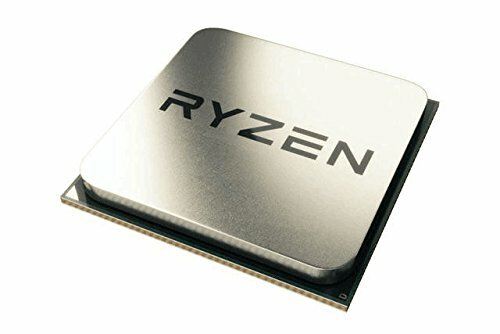 For those wanting to build a Ryzen-based PC, make sure that you choose compatible ram, and what I mean by that is that you should choose either RAM that is known to work well with Ryzen or other Samsung B-Die RAM if you are planning to use memory frequencies above 2400MHz. The RAM I chose is B-Die RAM and all I had to do is click the DOCP button in the BIOS and boom. Worked! Every part was purchased through Newegg, Amazon, and B&H. The only parts that were not purchased were the 200GB Maxtor hard drive from another old PC and the Optical Drive from my pre-built. The hardware made a total cost at $964.92, which is just under the $1000 price tag of the iPhone X. The purchase of Windows 10 Pro was not included in the list, so it makes the total cost just above $1000. -CPU: AMD Ryzen 5 1600 3.2GHz 6-Core: I chose this one because of the value of Ryzen 5 and its great multi-threaded power at a great price, and also has decent performance in games! -Motherboard: Asus ROG STRIX B350-F GAMING: Originally I wanted to get the X370 counterpart, but I then realized that I won't really think about SLI nor having a multitude of drives in RAID in the future, and also my budget was starting to get too expensive. But this is a great board with RGB, ROG spirit, a black theme, decent BIOS, and great aesthetics. It is the best B350 board out there right now, by far. 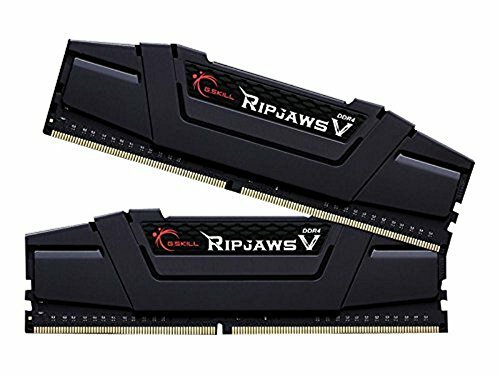 -Memory: G.Skill Ripjaws V Series 16GB (2 x 8GB) DDR4-3200 CL14: I did want fast RAM after hearing that the CCX interconnect in Ryzen CPUs runs at the RAM's speed, which results in performance gains in many apps. This RAM worked flawlessly without any errors and had no problems getting the speeds to the rated speed unlike many other Ryzen users. 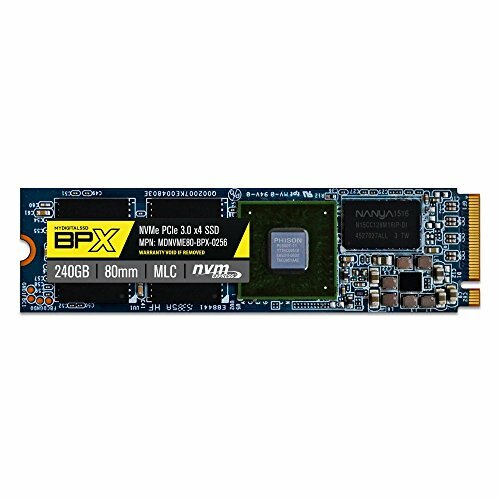 -Storage: MyDigitalSSD BPX 256GB M.2-2280 NVMe SSD: I wanted a fast SSD for storage due to the fact that my old PC would take forever to boot and load any large apps. But this SSD seems to be a bit overkill, as it's an NVMe drive, so the speeds are in the GB/s margin. This is paired with a similarly sized HDD from an old PC and there we go; around 500GB of storage for my new PC! -Graphics/Video Card: Gigabyte GeForce GTX 1060 3GB Windforce OC: A modest gaming GPU was what I wanted. The AMD RX cards seemed too expensive for their performance offerings, but it's not their fault, as cryptocurrency mining demands have driven certain GPU prices higher than others. The GTX 1060 3GB however was not really affected by this craze, and I got it for only $200! -Case: Phanteks Enthoo Pro M Tempered Glass (Black) ATX Mid Tower: A windowed case is what I wanted. This one went on sale so I got it. Great case! 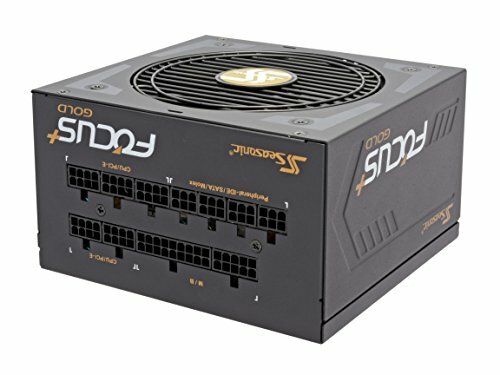 -PSU: SeaSonic FOCUS Plus Gold 650W 80+ Gold Certified Fully-Modular: A quality power supply is an essential for a high performance PC, and this one is a no brainier. The 650W capability is for future GPU upgrades. The build itself looks gorgeous, but my phone doesn't take great pics. Sorry about that! Excellent CPU for the money. Overclocks well, includes a decent stock cooler, and has decent gaming performance! Great motherboard! The ROG theme, aesthetics, and lighting make it very nice to look at. So many features on it too! Great RAM for Ryzen. Got it working at 3200MHz after clicking the DOCP button. No problems whatsoever. Just make sure to get it when it's on sale! Super fast storage, almost too fast! Probably overkill when it comes to speed, but i'll take it! Great graphics card! It already comes with a small overclock and its fans don't start until it reaches a certain temp. Well-played Gigabyte! This case looks phenomenal! Its tempered glass panel looks gorgeous. Plenty of space for drives and easy cable management! It's been very good. So far everything has been very fast and responsive, and I haven't had any problems at all. It's a great CPU for the money (it's best for someone who wants strong multi-threaded performance for little money), but if you are only gaming, then go with Coffee Lake. You chose wisely. Nice build. Yup. It's a great CPU. BTW the BIOS on the mobo was from September so it seemed to already have the AGESA update, so RAM speeds didn't seem to be a concern. I like the PC but the SSD is kind of overpriced compared to the Samsung Evo 250gb M.2. It has speeds of up to 3,100mb/s read, almost double the MyDigitalSSD's read. The write is also about quadruple the write of MyDigitalSSD. I would recommend the Samsung 960 Evo 250gb. But still, nice PC. +1 for title, iphone x really just isn't worth it, a samsung s9 is my personal preference currently. By going with a 2.5 SSD he would have saved just shy of $40, and for that price you are getting a 320-500GB HDD which is hardly a big drive. Considering it already had a 200GB HDD I don't see the point of getting a decent 320GB or a low end 500GB over his choice of a NVMe drive. Perhaps I should have said bigger instead of big, since I wanted to say that you could get a bigger drive with the money spent.